Is the tire pressure monitoring system (TPMS) light on even after you’ve inflated your tires? If so, your TPMS has to be reset. Resetting your tire pressure light when it’s not working correctly is vital to your safety, as tires that aren’t inflated properly can cause issues with traction and damage to your vehicle. 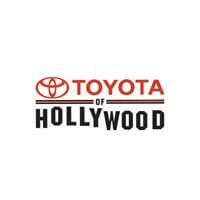 Learn how to reset the tire pressure light in your car from the team at Toyota of Hollywood below! Start driving at a speed of 50 mph or above for 10 minutes. Doing this may provoke your sensor to restart the TPMS the next time you start your vehicle. Without starting your car, put your key in the ignition and switch to the “On” position. Then, press and hold the tire pressure reset button, which is usually found underneath the steering wheel. Once the tire pressure light flashes three times, start your vehicle. It should take the sensor about 20 minutes to reset. Turn your car off and disconnect the positive battery cable. Then, turn your vehicle on and hold down the horn for three seconds to deplete any power still in your car. Lastly, reconnect the battery. Inflate your tires 3 PSI over the amount recommended in your manual. Then, deflate them completely. After deflating all of the tires, including the spare, re-inflate them to the recommended tire pressure levels. If you’re having trouble successfully resetting your TPMS or believe the TPMS battery has died (which is usually signified by a flashing tire pressure light), schedule an appointment at our service center near West Hollywood and Los Angeles! Our team can help diagnose the issue with your TPMS and fix the problem for you. Additionally, while you’re at our dealership, be sure to check out our service specials!